Born in Pengosekan, 1943. He is the brother of painter I Dewa Nyoman Laba. Sena's works similiar to Laba's, has become the signature style of Pengosekan painting during the 1990s and collected by various domestic and international tourists. 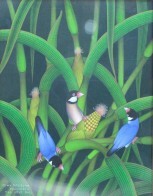 He would illustrate birds within the natural scenery filled with flowers, leaves and branches. His colours are bright. He especially designs the frame integrating with painting, thus the two of them would appear in one total look. 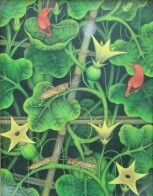 Sena works have been exhibited in Bali and Jakarta since 1970. 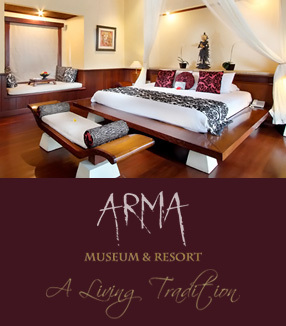 He is also the member of the painter Ratna Warta painter association in Ubud.